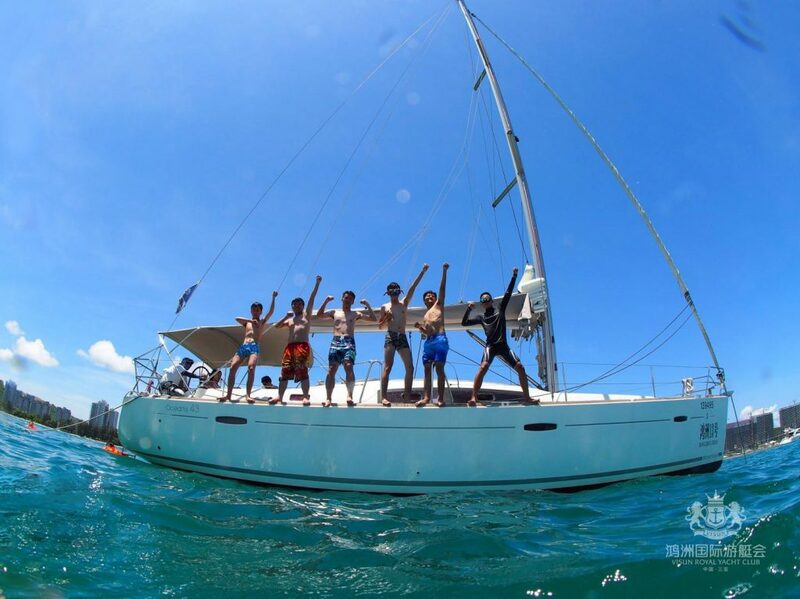 Sanya Sailing Boat Rental, Experience Sailing Boat in Sanya: 90-minute sailing experience with your friends or family and a great seafood dinner in Crowne Plaza Sanya City Center. 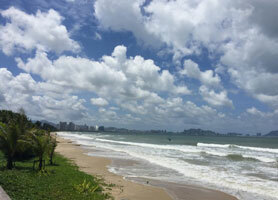 Sanya Hainan Island is a paradise for water sports especially winter time when Mainland China is freezing. Even on Hainan Island, Haikou in the north is cilly, while Sanya is the south is always sunny and hot. So sailing in Sanya will be a very nice experience. After checking a few companys in Sanya, we would recommend 90-minute sailing experience with your friends or family and a great seafood dinner in Crowne Plaza Sanya City Center in Sanya Hainan Island. 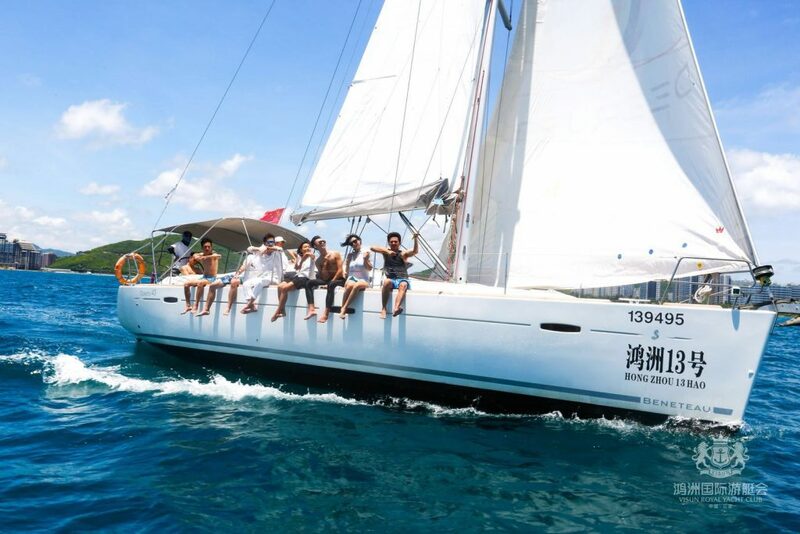 Following you will find more information on 90-minute sailing package with buffet dinner in Sanya. 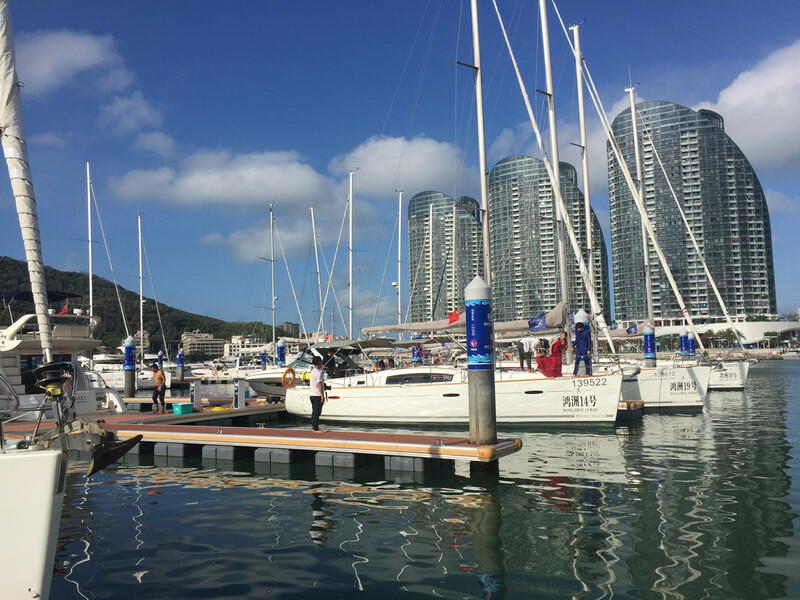 Pier: Hongzhou near Sanya Bridge鸿洲游艇码头, the first yacht pier on Hainan Island. Snorkeling, mineral water, snacks, fishing hooks, baits, 1 captain, 1 sailor. 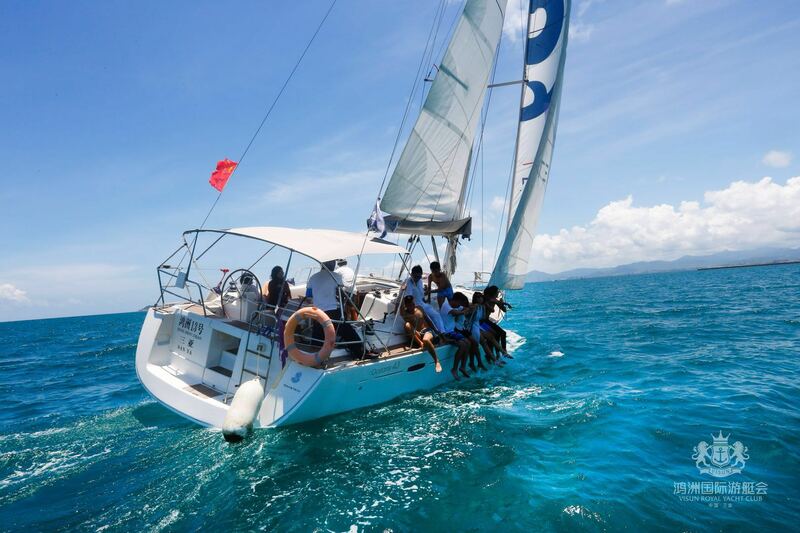 And you have the chance to operate the sailing boat with the help of the captain. Jet Ski costs CNY1000/hour, reservation is requsted. 16:30-18:00, sailing, 18:00-20:00, dinner buffet at Crowne Plaza Sanya City Center. Sailing Route is fixed by the local government to pass Luhuitou, Phoenix Island, West Islet. All passengers must have their passports with them. Pick up & drop off services available at extra costs depending on your hotel location. Full payment is requested before sailing out. 90-minute sailing package with buffet dinner at CNY398/person, min. 4 persons/trip (can share with other guests), max. 8-10 persons, subject to availability and final confirmation.